The U.K. government has published a report on the staggering scale of surveillance in the country last year. The report, compiled by the Interception of Communications Commissioner's Office (IOCCO), covers the surveillance activities of the U.K.'s three main intelligence agencies (MI5, the Secret Intelligence Service, and GCHQ, the Government Communications Headquarters), the tax authority, and a number of police forces. It shows that warrants for the interception of communications rose 9 percent and that authorities continue to collect communications metadata -- information about who called or connected to whom, when, how often -- with abandon. Lawmakers are still debating a new Investigatory Powers Bill that, at one stage, threatened an end to the use of end-to-end encryption systems such as instant messaging app Telegram. Police and intelligence services are often in a hurry to use their existing surveillance powers, the report shows: One-ninth of the metadata collection was approved without any paperwork, an option that is only available "where there is an immediate threat to life or an urgent operational requirement and there is no time to complete the normal written process," according to the report. That could be a sign that the other eight-ninths of the collections aren't exactly helping them figure out what's going on. The report minimizes the impact of the surveillance, using innocuous terms like "item of communications data" to refer to a whole month of incoming and outgoing call records for a mobile phone. Government bodies gathered 761,702 such "items" in 2015. Comparable figures for 2014 aren't available due to a change in the reporting regime: Previously, it was the number of applications for items of communications data that had to be reported, but an application could request several items. Some 517,236 such applications were made in 2014. Phone numbers were the most popular way of identifying targets, accounting for 82.6 percent of the data. Internet identifiers such as email or IP addresses were used to target 14.1 percent of the data-gathering, bank account or credit card numbers 2.5 percent, and postal addresses 0.8 percent. Police forces were far and away the most prolific spies, acquiring 93.7 percent of the data; traditional intelligence services gathered only 5.7 percent, with the remaining 0.6 percent accounted for by local government bodies and regulatory agencies. 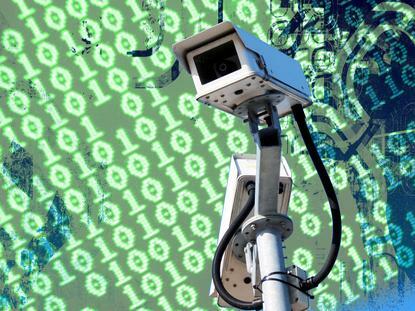 While we're often told surveillance is necessary to prevent terrorism, only 0.9 percent of the data was gathered with the goal of preventing terrorism. The biggest targets of the surveillance were the prevention of drug offenses (24 percent), sexual offenses (12 percent), theft and burglary (9 percent), fraud and deception (8 percent), homicide (6 percent), violence (5 percent), robbery (4 percent), harassment (3 percent), possession of weapons (3 percent), and miscellaneous crimes against society (3 percent). A further 6 percent were vaguely described as "national security." While communications service providers can be ordered to retain data for up to 12 months in case it is needed in an investigation, 88 percent of the data requested was less than four months old -- and the vast majority of that a matter of days old. About two-thirds of applications for surveillance approval were waved through; only about one in 12 were rejected, the rest being returned for further justification or clarification. The necessity and proportionality of the surveillance were the most common reasons for rejecting or returning requests. IOCCO's report also tracks warrants for interception of the content of calls and communications. It said 3,059 interception warrants were issued in 2015, a 9 percent increase on 2014. The number had remained stable between 2013 and 2014, after falling from 3,372 in 2012. One-third of the 2015 warrants was issued for reasons of national security, the rest for the prevention of serious crime, the proportion stable since 2014. While the authorities' collection of metadata is short-term, almost impulsive, their listening activities are more systematic and long-term. The interception warrants have an initial duration of three or six months, and can be prolonged. Around half of the year's warrants were still in effect at year-end, and some interceptions had been going on for longer than a year, the report noted.